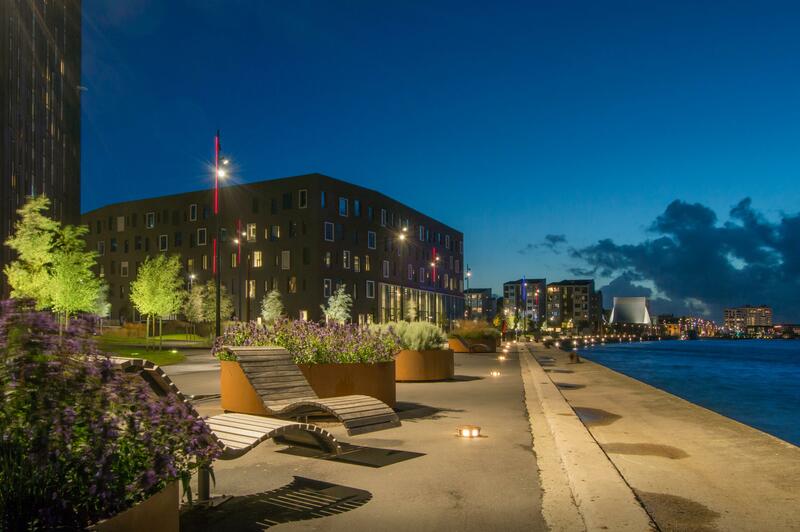 “This is a wonderful way to end the overall renovation project of Aalborg waterfront. As a lighting designer, it has been fantastic to work together with a municipality that prioritizes lighting and acknowledge the role of lighting in the creation of an active urban environment. I think it was the synergy between all involved partners and teams that guaranteed a well-integrated project”, said lighting designer Franziska Holmsted who received the award on behalf of ÅF Lighting on the 4th of November 2016 in Seoul, South Korea. “I believe that the City of Aalborg is a front runner in urban planning. For more than 10 years they have persistently pursued a multidisciplinary approach to urban development of the old industrial waterfront. Lighting has played an important role in creating an attractive and inviting urban environment with a unique visual identity. This award is a great recognition of professional lighting design as a tool for urban development - and I am of course very proud of our big contribution to this project.” says Allan Ruberg, Head of ÅF Lighting. The international City.People.Light award was created by Philips Lighting and LUCI, the international network of cities on urban lighting, in 2003. Over the years, it has honored selected cities for their sustainable urban development projects that utilize light to enhance the environment and lives of local citizens. “Lighting is a crucial part of city planning and their appeal. For the 14th consecutive year of this award, we received over 30 entries and have seen increasing interest from designers and cities in urban beautification and the importance given to urban lighting as part of their innovative city concepts,” said Kim Moonsung, Country Leader at Philips Lighting in Korea. Additional Project Credits: AK Belysning, COWI A/S, FutureSales.